The second child of Steven and Dorothy Eyman, Paul Walter arrived on March 12, 1948 at the Oregon City Hospital. He joined Jon at home on the farm in rural Canby with the later addition of Nancy completing the family. Growing up on a farm meant that there were always chores to be done. These involved checking fences, looking for new calves, branding calves, helping with the sheep and feeding turkeys. While Paul enjoyed helping with t he animals, his true interest and fascination was with motorized machinery and vehicles. From an early age Paul wanted to run the lawn mower and whenever Dad would have the mower running he would ask to operate it. Finally, Dad said one day that if Paul could start the mower, he could run it. About two months later, Paul was able to start the mower and Dad never mowed the yard after that. This was also the beginning of multiple modifications to the lawn mower, which was really a garden tractor with a mower attachment. Soon Paul had built a trailer that enabled him to ride rather than walk when mowing. He was always adjusting the throttle linkage, belt pulley or the exhaust system in hopes of finding a little more speed. Paul attended Rural Dell grade school and graduated from Molalla Union High School in 1966. He played basketball his first two years of high school and worked on the War Hoop (school paper). Weekends were spent working on cars at Yoder Garage where Vernon Sinclair would rent the garage after hours to Paul and Adrian Fisher for $1.00 per hour. Sometimes Vernon would have them take parts off or go to town on a parts run. It was at the garage that Paul formed friendships with Doug Watson, Wayne Colvin and Wally Kropf. 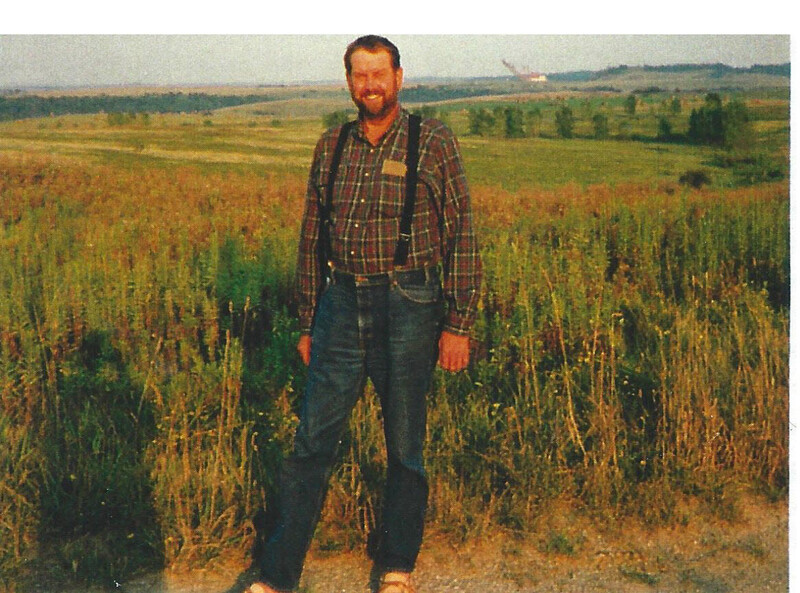 While growing up Paul was active in 4-H, joining the Livestock, Tractor and Rock Clubs. While in the livestock club, Paul decided to raise pigs. Here is what he wrote about getting the pig: "I got my pig a month ago. I've had a lot of fun with it. I feed it two cans of meal (ground grain) a day. My grampa made the pen for my pig. It cost $25.00. I named it "Miss Money Maker" and I hope she makes some money. She is a Poland China Pig." Shortly after Paul got the pig, she disappeared. We all started looking for her and the spot through which she had escaped. Upon closer inspection, Dad noticed a single ear peeking out of the straw bedding Paul had provided for "Miss Money Maker." The pig was found, never aware she'd been the focus of a major hunt. When Paul was about twelve he purchased a Cushman Eagle motor scooter and spent many hours riding it around the farm. After high school Paul bought a Matchless motorcycle in street dress. Paul removed the fenders and used the bike for hill climbing and off road riding. He later purchased a Hodaka Super Rat motorcycle (100 cc) and built a "short" dirt track in what was the family orchard. The Super Rat received many modifications and Paul did race it two seasons in "poker" runs and endurance races. As with any race competitor, Paul did not like being passed and was always looking for a short-cut so that he could stay in front or go a little faster. In 1968, Paul left Oregon to spend the summer fishing off the coast of Alaska with Reed Oswalt. In a letter home, Paul described his sleeping conditions on the boat: "Sleeps three and is a little crowded I believe. My bunk is 64" long and I am 74" tall so you figure it out." "...Living on the boat isn't too bad, except the only time you can get three people in the cabin is when they are going to bed and that is a major operation, too. First, I go to bed and crawl through a small hole in front of the motor, but also behind the stove. It kind of reminds me of a tunnel in one of the old hay forts we used to make. Anyway, once I'm in, then Reed gets in his bunk on top of mine. Then Phillip (the skipper) comes into the cabin, closes the door and folds down his bed and goes to sleep. When the summer was over Paul returned home with gifts for everyone. The time came for the Selective Service System to call Paul up for military service. He made them aware that as a youngster he had terrible allergies to many things and to help alleviate the symptoms he had weekly shots at the clinic in Molalla. The medication was needed on a regular basis in order to keep the allergies in check, but the officials felt he was able to serve in the Army and were not swayed by his concern about getting treatment. The day came when he was to report for active duty. After a tearful good-bye, he went on his way only to call home the next day and say Mom and Dad could come pick him up, the Army didn't want him after all. Paul began working full-time in the construction industry in 1972. In 1978, Paul and Jon purchased the business that Steven had started in 1951. Paul had many functions to perform, running elevating scraper, checking grade, driving dump truck, and finish grading with the grader. When Paul was running the grader, a scraper operator soon learned to read Paul's unique hand signals for either removing excess material or adding material. Paul always loved food and many memories of good times revolve around it. While growing up, Paul tried his hand in the kitchen. Both Paul and Nancy liked chocolate pudding -- the cooked kind. One batch would fill three soup bowls -- one for Paul, one for Nancy and one left over. Once, while arguing over who should get the second bowl, Paul leaned over and licked the top of the pudding bowl and said, "There, you can have it." Of course Nancy quickly declined. Paul and Adrian Fisher enjoyed eating at the Roake's Foot Long Hot Dog stand in Jennings Lodge whenever a trip for parts or supplies took them in that direction. Their code for lunch was "one and one" which translated to one Coney island, one burger, fries and a milkshake apiece. Soon their lunches became two Coney's, one hamburger, fries and a mitkshake. Sometimes as Paul was finishing up his lunch, he would place another order to take home for a later snack. A peek into any vehicle he'd been driving recently, would give you insight into what his latest "treats" were. Paul usually had an automotive project in progress or "in-mind." Paul became interested in old cars after going on a tour with friends. Besides being able to drive and work on the old car, the group liked to have a good time. Paul joined the Portland Regional Chapter of the Horseless Carriage Club of America where his first old car was a 1914 Reo that he drove on various tours until he found a "Brass" car that he could afford. The "Brass" car, a 1911 Reo, was in need of a lot of work and it took about three years to complete the restoration of the car. Paul's most recent desire was to build and race a "bracket" car at the Woodburn drag strip. Paul had worked out most of the details, but had not purchased a car before his illness. It was through the car club that he met and became special friends with Paulette Howard. They were married on March 13, 1987 in Carson City, Nevada with her son David and sister Nancy standing up for them. Early in their marriage Paul and Paulette realized the importance of vacationing as a family and they made a commitment to be together for one week each January. Travel destinations included Disneyland, the Oregon Coast, Hawaii and several cruises. Other special memories were formed during a family rafting trip on the Colorado River and car trips to Ohio Amish country to attend Longaberger basket conventions and to San Francisco via the Redwoods. Paul also enjoyed an annual adventure with Adrian and David Fisher. Their destinations were varied and they always traveled on the back roads. They would sometimes visit old friends, but would often search for places that they had either heard or read about. These included ghost towns, abandoned mines and geographical points of interest. Paul enjoyed being with people and helping on small projects. This can be seen when he constructed a motorbike track for David and his friends. The field by their house had just been cleared of brush in order to make way for the construction of Paul and Paulette's dream home. David and his friends all had motorbikes but had no place to ride them. Paul brought the grader over and cut out a track and David remembers how happy Paul was that they had a place to ride and that he had been able to make a contribution. Paul woke each morning joking, laughing and ready to meet the day. His positive attitude continued to be seen even after his diagnosis and the progression of his illness. Cancer did not beat Paul as he did not let it stop him from doing the things that he loved which included traveling, working on special projects and spending time with family and friends. Paul would often tell Paulette, "You're a lucky dog to have me," but it is all of us who were lucky to have known him.